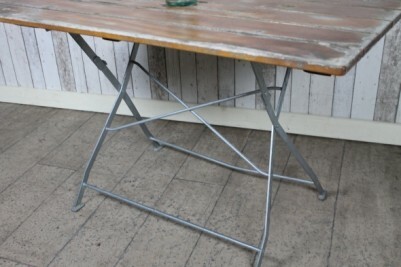 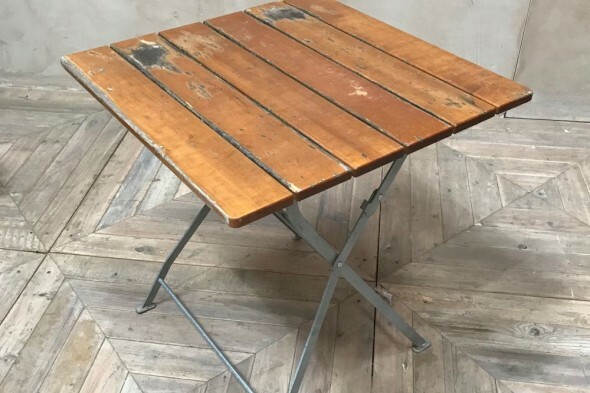 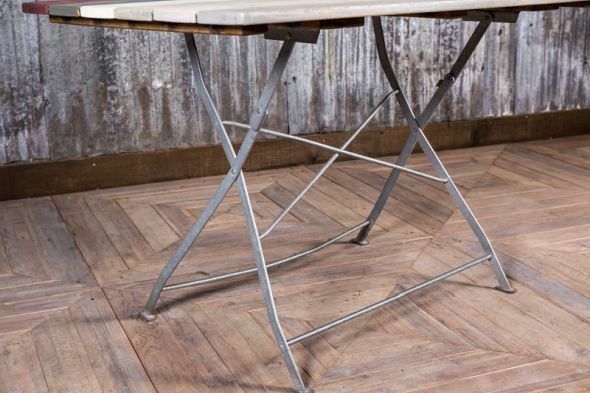 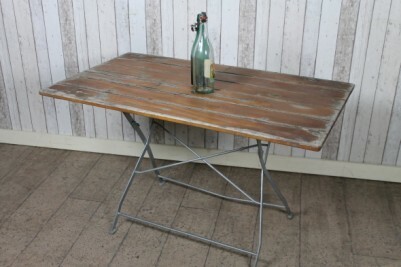 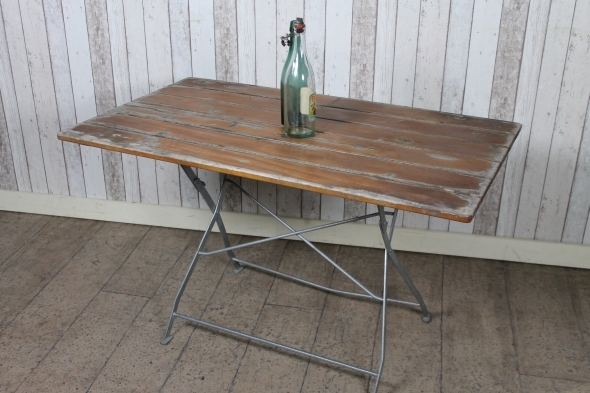 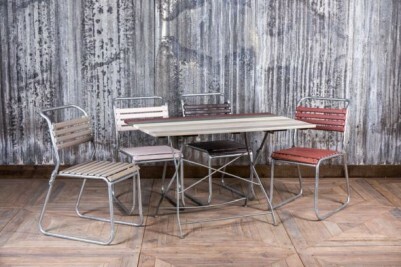 An ideal opportunity to buy some extremely useful folding cafe tables. 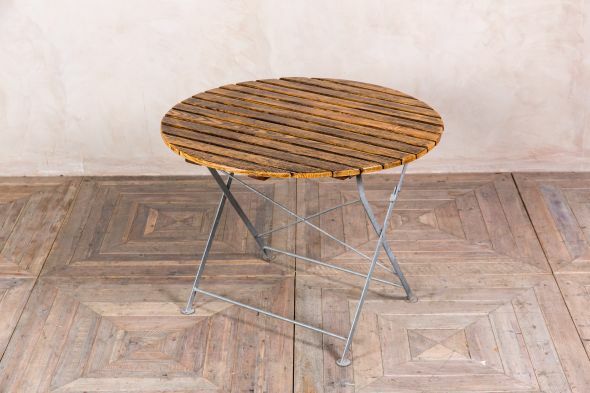 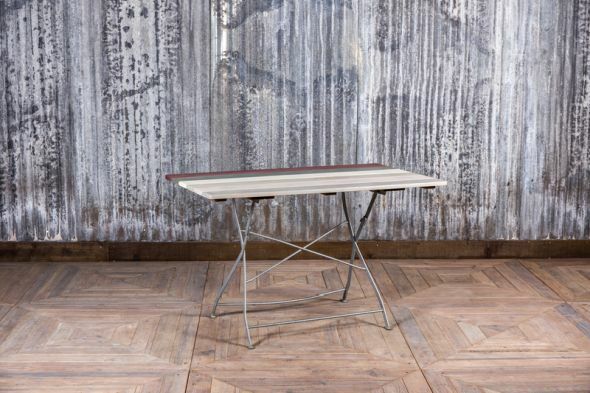 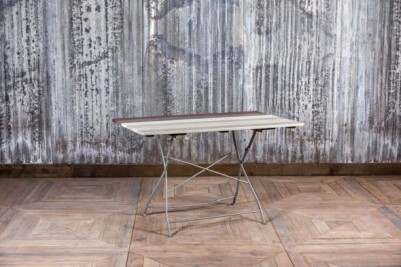 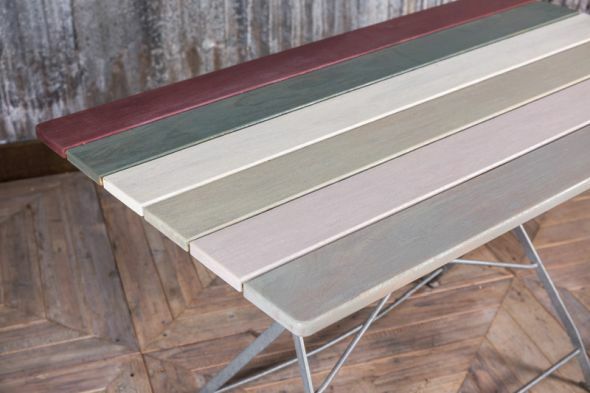 The tables have a substantial folding base and a hardwood slatted design top. As you can see from the many photographs, the tops have been used and have a shabby chic appearance, which is very fashionable at this moment in time. 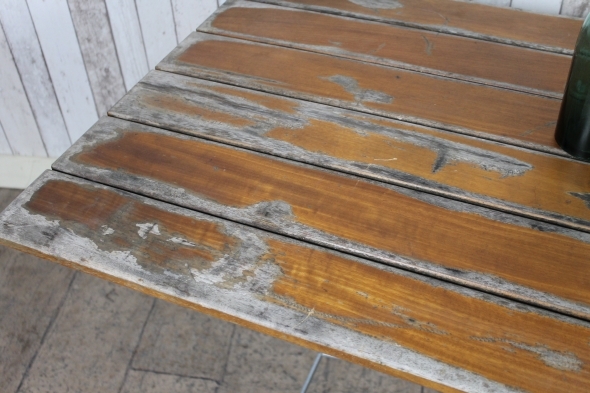 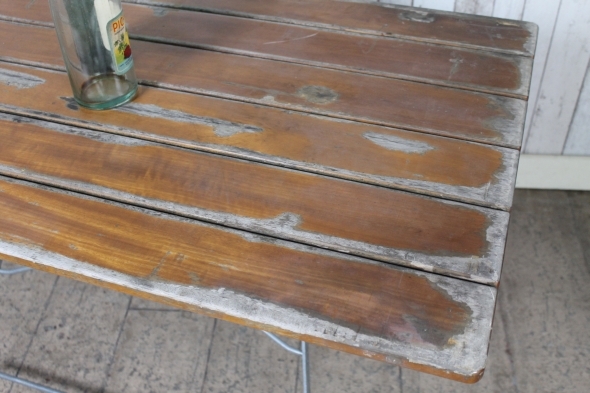 The tables can also be purchased with an exterior oiled top. 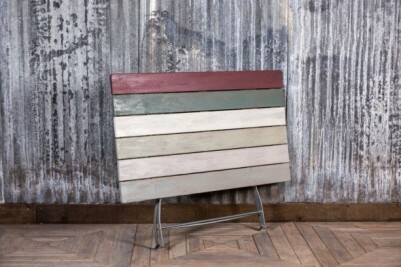 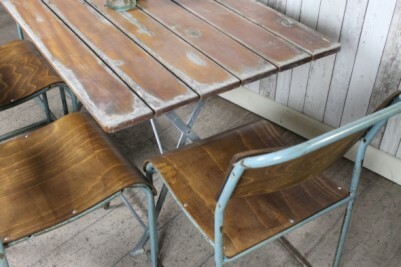 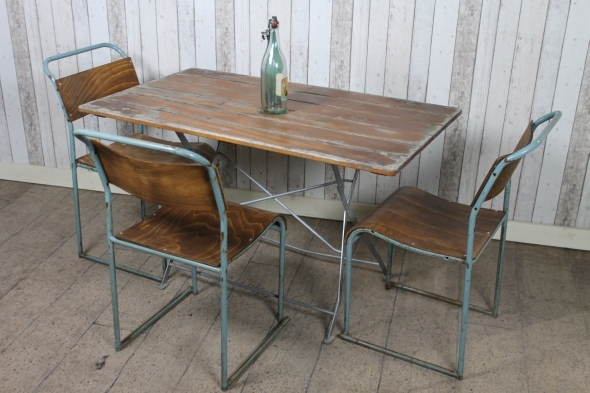 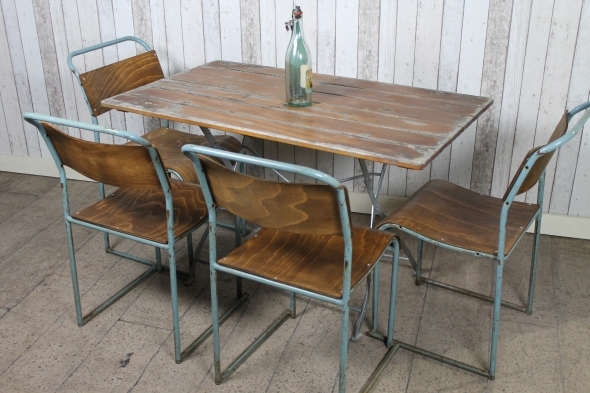 They can be used in a restaurant, cafe, beer garden, or patio area, and will give a unique look to any space. 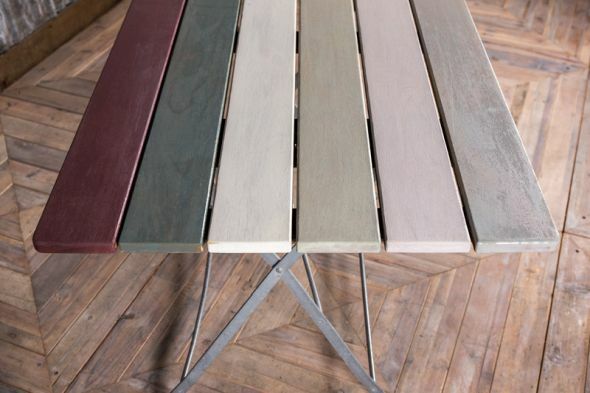 Please specify which finish you would like when placing your order. If you would like the tables exterior oiled, please contact us with your colour choice. 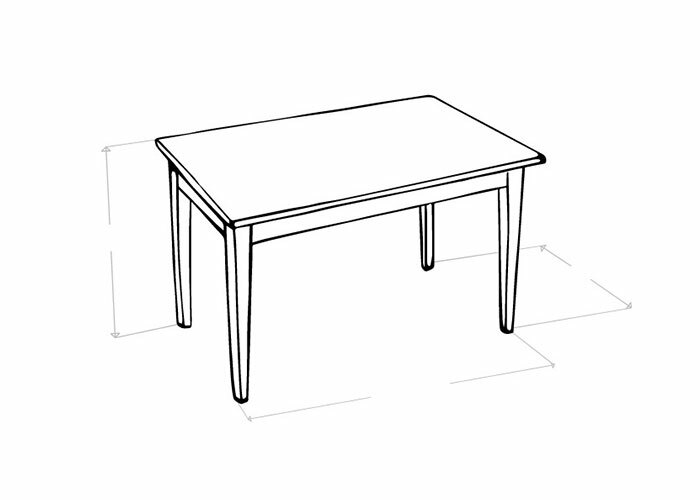 Please note that this listing is for one table only. 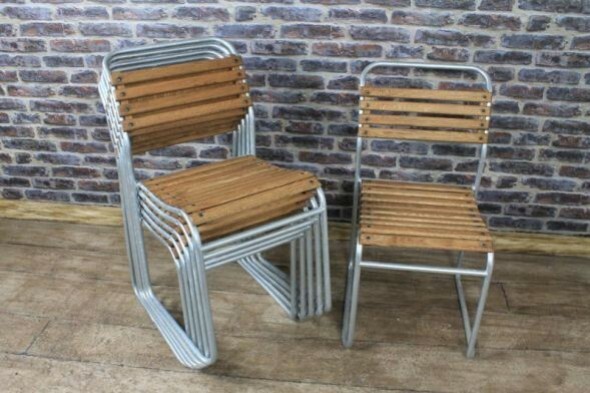 The chairs pictured are not included, but can be purchased separately.